I was alone today in the sauna. I waited, thinking surely someone would enter at any moment and they did not. I have spent countless hours over 9 years in this sauna. I know every corner and sitting there is often not unlike siting in a pew. I thought of all the people I have known sitting in this sauna pew; all the men and women, mostly much older than I am with wisdom and pain and joy to share. The thing about a sauna is you can cry and it looks like sweat. My father. My father in law. Two men I loved more than I could ever explain. I learned much from these men; iconoclasts and wicked smart and deeply generous of spirit. They were alive once and now they are dead. The list of the Lost is long. I thought of the ones we have lost; each death its own singular experience with its own way of sitting in my heart. You can count your blessings in many ways: loss and gain and aren’t they really the same if we let them be? There is one even if right now it doesn’t feel like it. The future will be of indeterminate length. What it will contain is anyones guess and up for grabs. I have thoughts sitting in this sauna pew inspired in my solitude by the presence of another community that has grown and bears witness and shares wisdom: You. And we will toast our mother. and to those who have been born. Place counts and so do I.
I found myself counting the steps to the locker room and then counting the tiles in the shower; first up and then sideways. I added the numbers together and the number was odd. I went to my locker; lock number 9; again odd. Odd numbers don’t work; even numbers do. I count hoping to add things up to make some sense; to find patterns; to gain control over what is God’s and not mine. I count hoping to make sense. Grateful to be here and to be alone but to be with you. ~ by Step On a Crack on October 31, 2011. I am glad to be here with you as you travel this path. Those we love and those who love us add to a sum of who and what we are. You are loved and loving person. I feel it’s a wonderful thing to be sharing this journey with you. How many gentle voices does it take to drown out a harsh one? If you’re counting, Jen, may their words of love and grace engulf you and steady you as you continue on this unpaved path. i think it’s so amazing to see how a higher power can act concretely in our daily lives. 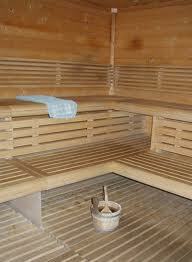 It would seem yours put you in an empty sauna to sweat some ideas out and purify the mind as well as the body! I like how you compared the sauna bench to pews in church. What a beautiful analogy. Yes, that is sacred space for you. Another beautiful post from a woman growing into her beauty. oh Debby You and your Pews in which I sit helped inspire this image and I am very grateful to you for that. My eyes are all puffy from crying off and on all day. No Beauty here… Except… my Heart feels close to my God. Thank you! But in the Fibonacci Sequence there are odd numbers and it is one of the most beautiful patterns we can see in nature. Somehow the sequence, which looks a little messy on the face of things, orders the number of petals on a flower or the notes of a musical composition or in the ancestry of honeybees. It’s a weird pattern, but one of a kind of order. There is grace, even in the odd things. I have to believe, with evidence like this, that there is a greater pattern, one I may not see so clearly now, but perhaps will one day. I hope so. Stay strong. Stay centered. You can do it, because there is grace present. Grace is Indeed present Grace and Miracles DO abound! Thank you. really really. Such a moving post. The part I hope you recall and cling to is GOD not OCD. When it compels you to count, remember to pray as well. I shouldn’t try to advise when I know nothing of the struggles you face, but I know well the joy He gives. It doesn’t seem fair, to me. But that’s life on life’s terms and none of us knows what lies ahead. All I know is that when we get there He will be there, too. I count on it, so to speak. I didn’t mean to be using a pun, but it came out, so I’ll leave it. Heidi funny you should mention this: As a kid I would count before I would pray and I prayed all the time. After a time I started adding God into the counting and I got all confused with counting on God or counting on counting. I know now that is the nature of OCD born of PTSD. I really had a hard hard time getting to the place where I could JUST pray without counting first. I had to stop praying the rosary Too much counting. I am MUCH better now about Just Praying. Anytime. Anywhere in Anyway I need to. I have learned to talk with my God. I still LOVE the Hail Mary and always will but I love my dialog with God too. I love the pun by the way. Makes me smile! thank you!! !